When reading of the achievements of a giant of scientific thought such as Einstein, Feynman or Darwin, it is far too easy to envision the person, and scientists in general, as some sort of being above the worries of daily life. The reality, of course, is that scientists are subject to the same emotions and problems as the rest of humanity: they can be irrational at times, angry at others. Scientists can be fleeced by a clever con-man — and can even become the con-man themselves. In the 1880s, a fascinating chain of letters appeared in the magazine Science and in other publications, including the New York Times. The scientific community was being victimized by a clever confidence man, who was working his way into members’ trust and then stealing from them. 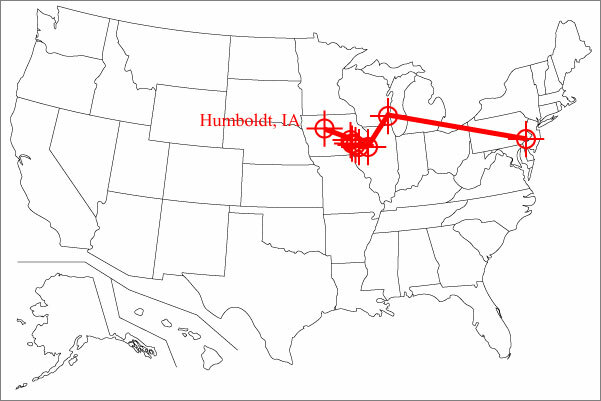 The exploits span at least 7 years and stretch over much of the United States. Most surprising about it, however, is that the con artist was so successful because he was apparently trained as one of their own. In this post we’ll trace the path of this mysterious swindler and the chaos he wreaked upon the scientific community. Along the way, we’ll get a glimpse of the social interactions of scientists at the time and their very human nature, for good and ill. The story begins in the February 29, 1884 issue of Science. On page 245, we get a letter titled, “A scientific swindler”, written by F.V. Hayden, a geologist and physician who served with the Union army during the Civil War, and led an 1871 geological survey of Yellowstone that was instrumental in turning the region into the first national park. F.V. 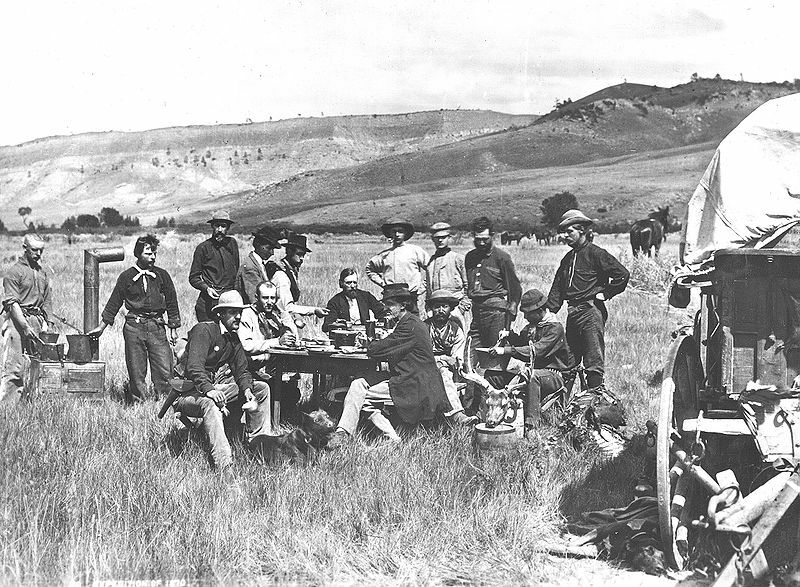 Hayden in Wyoming, at far end of table in dark jacket, as part of United States Geological and Geographical Survey, 1870 (source). A few weeks ago a man calling himself N. R. Taggart, and claiming to be a member of the Ohio geological survey, visited Philadelphia. He called on the principal scientific men of this city, and attended one of the regular meetings of the Academy of natural sciences. He seemed to have an extended acquaintance with scientific men all over the country, talked very glibly about fossils, and claimed to be preparing a report on the Productidae for the Ohio survey. He is about five feet eight inches in height, a hundred and sixty pounds in weight, heavy set, heavy featured, with light hair, and rather deep-set eyes, shabbily dressed, and wore an old gray overcoat. He had an adroit way of ingratiating himself into the confidence of his intended victims; and then, if he could not steal, he would, under some plausible pretext, borrow valuable books or specimens to take to his hotel, and forget to return them. His victims are to be found scattered all over the country. 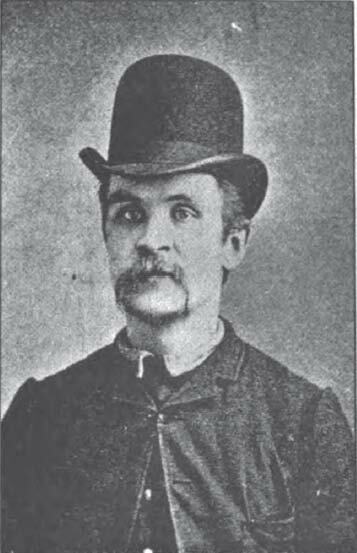 In New York he was E. D. Strong of Fort Scott, Kan., and claimed to be employed by the Kansas Pacific railway to collect statistics of coal production. 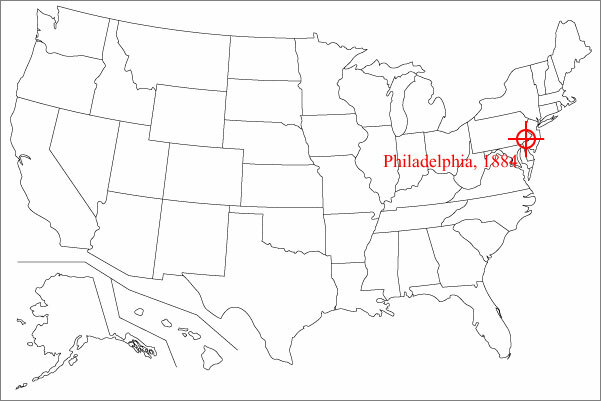 In West Philadelphia he gave his address as E. Douglas, Columbus, O., member of the State survey. In Auburn, N.Y., he was a deaf-mute, under the name of E. D. Whitney, U. S. geologist, Denver, Col. There he obtained a large quantity of valuable books and fossils from the family of Professor Starr, in the absence of the owner. In Harrisburg, Chambersburg, Columbus, and Indianapolis he was a deaf-mute. He swindled the state geologist of Indiana out of over a hundred dollars’ worth of scientific books. From the Cleveland historical society’s rooms he obtained Indian relics of great value, and in Cincinnati, minerals and fossils which he converted into cash. He has been permitted access to several museums, public and private, from which he has succeeded in abstracting valuable specimens, and sold them. Any information in regard to the real name and residence of this man is much to be desired. The value of items swindled is quite impressive; if I’ve done my conversions correctly, a hundred dollars of scientific books in 1884 would be roughly $2400 worth in today’s dollars. The modus operandi of our thief is already clear. He would visit and collaborate with geologists under the guise of a colleague, and work his way into their trust. He would then borrow (or simply steal if the opportunity presented itself) books from these researchers and make a prompt departure, converting the possessions into cash. Often, for reasons that are unclear, he would pass himself off as a deaf-mute. Even this short letter gives quite a bit of insight into the nature of science in the late 1800s. In the absence of the internet, television, radio, or even telephones (AT&T would be founded in 1885), there was no real way to identify other scientists other than their scientific ability, letters of referral — and a high degree of trust. As we will see, the swindler was equipped with all three. Milwaukee, Wis., Oct. 27 — Last evening the police made a most important arrest in the person of Leo Lesquereaux, a geologist, who is alleged to have been conducting a series of swindling operations in various parts of the country. Lesquereaux came to Milwaukee about a week ago, and straightway proceeded to dispose of some books of which he claimed the ownership. He represented himself as employed upon the United States Government survey for the Northwest, and as such sought the acquaintance of scientific men in various localities wherever he might happen to be. He turned up in Whitewater about two weeks ago, and by his glib talk and immense self-assurance obtained the confidence of W.F. Bundy, Professor of Sciences at the Whitewater Normal School. His leaving Whitewater and the disappearances of a lot of valuable scientific books were so closely allied that it was concluded that the man and the books had departed together. Prof. Bundy came to Milwaukee and reported to the police the loss. 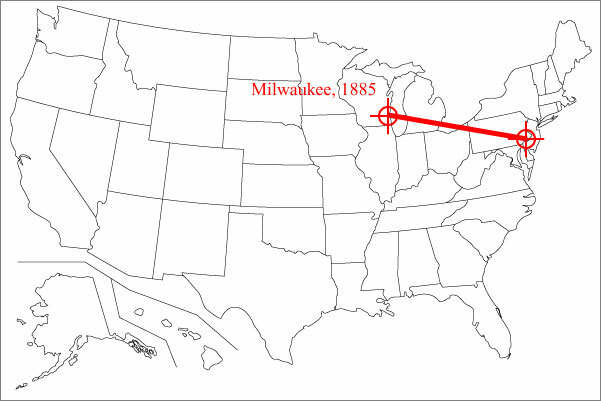 In Milwaukee Prof. Bundy obtained track of Lesquereaux through Prof. Peckham, of the High School, to whom he had sold two or three of the stolen books. It was also learned that he had sold some books to Thomas A. Greene and others to Prof. Rogers. Prosecuting his inquiries still further, Prof. Bundy learned that a man answering Lequereaux’s description was working at the Public Museum, and the police being notified, his arrest was easily affected. The charge lodged against him at the station was that of receiving stolen property. Emphasis mine! So Professor Bundy, having been swindled, went all CSI on the con-man and tracked him down himself! Prof. Peckham called at the police station and had an interview with the prisoner. He was greatly surprised at his arrest, and was convinced that he was a very learned man, a skilled scientist, and felt complimented at acquiring his acquaintance. Lesquereaux had become quite intimate with Prof. Peckham, at whose house he had taken dinner. He had also spent evenings at the house of Mr. Greene, and entertained the family with stories of his travels and scientific achievements. Here were have the strong indication that the prisoner is no ordinary swindler; it is hard to imagine that he could have so snookered the scientists without having a good knowledge of geology himself. He said he expected to clear himself as soon as he could have a preliminary examination. He mentioned the names of several prominent scientists and geologists in Ohio, Michigan, Pennsylvania, New-York, and other States with whom he was intimately acquainted, and with whom he had at various times been professionally associated. It was suggested to him that those persons be telegraphed to and that a message be sent to Secretary Lamar, in whose department he claimed to be engaged. The prisoner declined to do this, saying he did not wish to be humiliated by so doing. It is hard to say for certain, but note that the scientists whose names he refers to herald from states that he had swindled people in! Was he giving the names of his victims as a half-hearted alibi? He said that numerous cases of swindling charged to him were the work of another impostor, who had assumed his (the prisoner’s) name. When brought to the station the prisoner gave his name as Leo Lesquereaux, and stated that he was 46 years old and a native of France. His left hand is missing, and in place thereof is an artificial hand. He is of medium height, with blonde mustache, wears eyeglasses, and is shabbily dressed. He did not appear like a drinking man. Emphasis mine! Oh, this just gets better — a criminal mastermind, wandering the States preying on scientists, missing his left hand! It is especially cheeky of him to claim that he was being impersonated by Leo Lesquereaux, as in fact the swindler himself had taken the name of a famous Swiss paleobotanist, Charles Leo Lesquereux (1806-1889)! It is somewhat striking that the police had no choice but to incarcerate the swindler under the name of Lesquereux, even though it was clearly an assumed name. In the 1880s, there was no certain way to identify a prisoner if the prisoner didn’t want to be identified. The swindling operations in which Leo Lesquereaux has been engaged in various parts of the country entitle him to be classed as one of the most skillful of educated crooks. Lesquereaux was traced in his wanderings over the country for three years past by the audacious and clever schemes he has resorted to in order to obtain money. He assumes a number of names, and always claims to be the son or brother of some geologist known personally, or by reputation, to other geologists. His specialty is paleontology, and in January, 1884, he completely deceived Prof. R.P. Whitfield, of the American Museum of Natural History, probably the best paleontology in the country. He then passed as E.P. Strong, of Wisconsin, who was drowned while descending the Flambeau Rapids some years ago in prosecuting the Wisconsin Geological Survey. He next turned up in Philadelphia as W.R. Taggart, and wormed himself into the hospitalities of Prof. Hayden, of the United States Geological Survey. He carried off one of Prof. Hayden’s most valuable books, besides borrowing $20. Prof. Hayden afterward learned that the same fellow had been to see him on a former occasion and then borrowed $20. He then wore black whiskers and gave his name as Prof. T.S. Holmes, of Charleston, S.C. Under the name of Lee, in Connecticut, he is said to have swindled one man out of $300 and another out of $100. He once called at the Surveyor’s office, in Washington, and was invited to call again when it was intended to arrest him, but he did not call a second time. Professor Hayden, who wrote our first letter, had in fact been swindled twice by the same man, in disguise! A thief representing himself as Leo Lesquereux, jun., and also as one Strong, son of the geologist who was drowned in this state some years since, has been doing this part of the country of late, making way with geological reports, instruments, and specimens. He has been apprehended, and is now in the jail at Elkhorn, Walworth county, Wis. His term will expire January 28, or within a day or two of that time. He is the same man who has carried on extensive swindling operations of a similar nature in the east. Would it not be well to have him ‘sent up’ as many times as possible ? I send you this information, hoping that it may seem wise to you to make his whereabouts known through your widely-circulated columns, and to encourage all interested to make it as warm as possible for this impostor. He very probably assumes other names than those I have given. He is rather short, of light complexion, has a cynical expression, wears eye-glasses, talks with the greatest freedom of geologists, finding few worthy of recognition or favor. He looks to be thirty years, but represented himself here as forty six. He told in many places about here, but did not say it here, that he was distributing specimens from the Smithsonian institution. He imposed upon many in that way. He is conversant with geology and geological work, and is certainly well posted on fossil plants. The author of the letter was R.D. 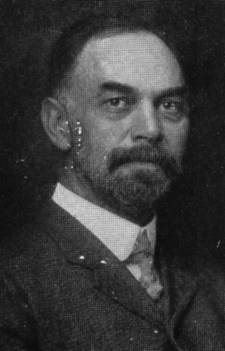 Salisbury (1858-1922), a prominent midwestern geologist who was one of the early faculty of the University of Chicago, founded 1891. PROFESSOR SALISBURY’S letter in Science for Nov. 6 gives the present location of a miscreant who has been plundering cabinets and libraries throughout the country for the last two or three years, and who has been making decent people even more unhappy by assuming their names than by stealing their books. His present address is County Jail, Elkhorn, Wis. Esto perpetua. This is the address; but as to the name, who knows ? For the last six months he has dragged through the mire the honored name of Leo Lesquereux, to the great annoyance of the venerable owner. Before this he was Prof. F. A. Arendel of the Pennsylvania survey. Other names under which he has stolen and swindled are N. U. Taggart, E. Douglass, E. D. Whitney, E. D. Strong, etc. Three of these names have the initials E. D., in which fact there may be some significance. The Milwaukee police record says of him that he has but one hand, wearing a false hand on one arm. This fact may help to identify him. He seems to have a remarkable amount of geological knowledge, and especially on fossil botany. Where did he get this knowledge ? Who trained him? Who was his father ? Who was his mother ? Has he a sister ? Has he a brother ? These are questions that many victims desire to have answered, in whole or in part. 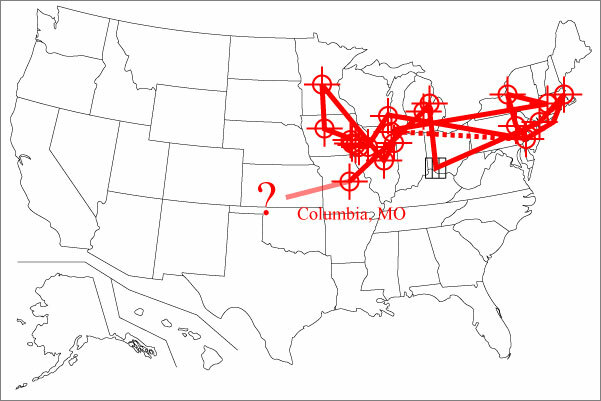 A person has been operating in Illinois and Iowa, representing himself to be Prof. H. S. Williams at some points, and Professor Oelrich at others; in all cases, so far as heard from, assuming to be connected with the faculty of Cornell university. His modus operandi is to borrow scientific works, money, and paleontological specimens, and contract with colleges to furnish series of fossils illustrative of American geology. He is an expert in classifying fossils, and his method of work is strongly suggestive of the individual who duped many scientific workers last year under the alias of Lesquereux. He has worked his games at Galesburg, Ill., Burlington, Mount Pleasant, Ottumwa, and Oskaloosa, Io., being at the latter place March 8 last. He is undersized, a man of from thirty to thirty-five years of age, light hair, beard, and mustache, and apparently having no use of his right arm, though this defect may have been simulated. Please give place to an advertisement of a fraud who has just left Oskaloosa. He came on the 6th, remained six days, and left without having caused sufficient suspicion for any one to say any thing. He professes to be Prof. Henry S. Williams of Cornell University, N. Y., a captain on the retired list of the U. S. army, – retired for disabilities resulting received from the Indians three days after General Custer fell. He is now representing the Smithsonian institution as a sort of an examiner, looking after books and specimens deposited at different places. He also represents that Cornell has a fund which makes it possible for them to sell for fifty dollars a set of fossils equal to sets sold by Ward for eight hundred and fifty dollars, and that they only want five dollars cash to pay for boxing and labelling, the remainder to be paid from time to time in local fossils, for which reasonable prices will be allowed. He contracted two sets here, but received the five dollars on but one of them. He is about five feet eight inches high, weighs about one hundred and forty pounds, carries his right arm as though stiff, wears a glove on that hand, has light-brown straight hair, mustache, blue eyes, a large head with prominent forehead, so that his eyes seem a little sunken, and uses tobacco and whiskey tolerably freely for a professional man. We know he has a whole right arm and hand, and it is quite possible nothing is the matter with it. He talks very freely and accurately of fossils, books, and men, can give minute details of events in Indian warfare of ten and more years ago, which some of our citizens know to be literally true. He spends his money very freely, and seems to have plenty of it. There is a general feeling that he worked someone for one hundred and eighty dollars, but, if so,whoever it was will not tell it. The amount is indicated,because it is rumored he draws one hundred and eighty dollars per month from the army. I cannot find who started it. If he has not done so, he certainly missed a good chance. A despatch from Humboldt to the Des Moines Register says he has been there and got about one hundred dollars. Though it is pure speculation, the connection of the possibly crippled right arm and knowledge of Indian warfare suggests that the swindler may have been in the military. It has just come to my knowledge that the ‘tramp ‘geologist who has been ‘ wandering up and down the earth’ for the last three years, the man of many accomplishments and aliases, is now in the vicinity of St. Cloud, Minn., posing as ‘Capt.’ I. C. White of the West Virginia university. I would say, in my own defence, that the title of ‘captain’ is not worn by me, and that in this case I can establish an alibi, with the help of my friends. Cannot something be done to throttle this nuisance before he scandalizes every geologist in the country? Probably a committee from those whom he has swindled and misrepresented would hunt him down most successfully, and I am sure such a committee could be trusted to squelch him effectually. Here we have an 1886 case of identity theft! Clearly I.C. White is rather angry about the abuse of his name, considering he is essentially suggesting to organize a posse (committee) to hunt the swindler down. Israel C. White, c. 1898 (source). White undertook explorations to study coal deposits in South America, and his observation of similar rock strata in South America and Africa was an important contribution to the development of Alfred Wegener‘s 1912 theory of continental drift. The geological swindler described in Science, p.308, No. 165 (April 2, 1886), has finally been entrapped and captured here, and is now in jail at Kankakee, Illinois, for the sale of books which he borrowed from a gentleman in that town. He passed here as ‘Captain Lindley ‘ of the U. S. army, detailed as ‘instructor in geology’ at West Point. I need not say that there is no such name in the Army register nor on the roster of instructors at the military academy. As he will undoubtedly be sentenced for at least a term in jail, it is much to be desired that those who have heretofore been swindled by him may communicate promptly with the sheriff of Kankakee county. If he is not vigorously prosecuted, it will soon become necessary for the naturalist to carry a passport in travelling through this region. I ENCLOSE for the benefit of others a letter from a swindler in the west, addressed to me, over the very well forged signature of Charles D. Walcott, U. S. N. M. (national museum at Washington), dated simply ‘ Cook co. Normal, Nov. 7, 1886.’ Chicago is in Cook county, Ill. It requested the immediate despatch of a set of geological reports to Prof. George Wells Litz. of the Cook county (Ill.) normal school, and his colleague, Professor Parker. Prof. JOHN P. LESLEY.Dear Sir,- Will you kindly send to Prof. George Wells Litz, of the Cook county(Il.) normal school, a complete set of the reports of the second geological survey of Pennsylvania. I am indebted to him, and to his colleague Professor Parker, for a most delightful Sunday, and wish to place him and his friend in the way of getting literature at present inaccessible to them. An early compliance with this request will be considered a great favor, and one to be soon repaid by your friend, CHARLES D. WALCOTT, U.S.N.M. Mr. Walcott informs me by letter, after seeing the above letter, that he had tried to trace the rascal, but thus far without success. The fellow has obtained, under various false pretences, quantities of specimens, books, and sometimes money, from eastern geologists. 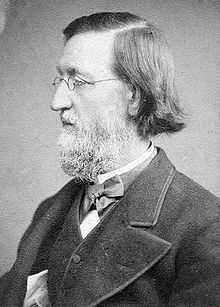 John Peter Lesley (1819-1903) was another prominent geologist who performed extensive researches into the coal, oil and iron of the U.S. and Canada. In 1874 he was made state geologist of Pennsylvania, and was a Professor at the University of Pennsylvania; he presumably got the letter from the swindler while in Philadelphia. J.P. Lesley, c. 1877 (source). The scheme seems to have been a simple one: the swindler pretended in writing to be C.D. Walcott, and tried to use Walcott’s authority to get documents sent directly to him in the Chicago area. Charles Doolittle Walcott (1850-1927) was a good choice for a fake identity. A respected paleontologist specializing in invertebrates he would later in life become famous for the discovery of fossils in the Burgess Shale of British Columbia. The swindler’s plan failed, but it was an audacious one — he clearly hadn’t gone very far from Kankakee before trying a con again! In one letter, he also presumably took on three new identities — Walcott, and the two Professors who were supposed to receive the documents. The swindling geologist was this week in Springfield, Mass., where he passed himself off as Capt. C.E. Dutton. I cannot learn that he succeeded in victimizing any one except the hotel-keeper of the house where he stopped, owing to the fact that he was early exposed by the commanding officer of the armory, who luckily happened to know Captain Dutton. He later inflicted himself on me, playing the deaf mute, calling himself Ivan C. Vassile of the Russian museum, and offering to sell me odd volumes of Hall’s ‘Geology of New York state.’ Suspecting that they were stolen, I declined to buy. He is a square-faced, smooth-shaven, light-complexioned fellow, of rather short stature, and wore a white felt hat and an army cape. His names and clothes, however, would perhaps hardly serve to identify him, as he probably has a variety of both. He claimed to be on his way to Albany. Perhaps if he can be exposed all along the line, he may soon be rendered harmless. Perhaps it is simply because the swindler failed in his attempts, but this letter seems to take a softer tone towards the man, particularly in the last sentence. The constant reports in Science seem to have had an effect; the swindler seems to be getting diminishing returns for his efforts. The attitude towards him seems to have changed subtly, as well; he is now referred to as a “genius”, albeit a “perverse” one. About six weeks ago a delightfully intelligent and amiable deaf-and-dumb man appeared in Pottsville, and was entertained hospitably by Mr. Bard Wells, late of the geological survey of Pennsylvania, to whom he gave some valuable books, and from whom he took some, also a compass. He left Pottsville suddenly without paying his hotel-bill. About two weeks afterward he called at the office of the survey, in Philadelphia, after office-hours, and represented himself to the janitress as an assistant on the survey, sent by the assistant in charge of the office to get certain survey reports. Having no written order to show, he was refused admittance, and went away very angry. I see that he has turned up at Syracuse. It is astonishing that the fellow can have managed to escape capture so long. There seems to me to be a bit of desperation in the swindler’s actions at this point: showing up after office hours at the office of the geological survey seems very irregular and certain to draw more attention than he would like. A MAN answering the description of the impostor given in previous numbers of Science, appeared at the rooms of the Boston Society of Natural History on Saturday last, having in his possession a microscope, which he offered for sale at a very low price. We suspected his character, but, having no charge against him, were unable to do any thing, and were in hopes he would return on Monday with his microscope, as he engaged to do. He did not return, and we could therefore do nothing. A YOUNG man of gentlemanly bearing, who calls himself Dr. S. M. Gutmann, and claims membership in the American Chemical Society, has been lately imposing on various members of the scientific fraternity in New York and vicinity. He claims to be a pupil and son-in-law of Professor Hofmann of Berlin, and shows letters purporting to come from some well-known persons, who recommend him as an expert in the manufacture and analysis of coal-gas. He is familiar with the names of chemists and physicists in this country, and uses them with freedom by way of introduction to strangers. He represents himself to be in pecuniary straits, as the result of long and fruitless efforts to obtain employment since his arrival in this country. Since there are many readers of Science whom he will attempt to victimize, it may be well to warn them against this plausible and mendacious vagabond. We now have some indications that the swindler is having trouble; his own admission that he is in bad financial shape, and his shift to targeting chemists. The following from the Indianapolis Journal of Feb. 24 may be of interest to those who have been the victims of the swindler so extensively advertised by your own and other journals: “The book-thief who has, under the names of W.R. Taggart, Professor Cameron, Professor Douglass, and various aliases, travelled over the country, representing himself as a scientific student, and borrowing valuable books, has been arrested in Cincinnati, where he gave the name of Otto Syrski. He was recognized yesterday by Professor Collett of this city, who was one of his victims. Professor Collet learned where his books has been sold, and will probably recover them.” It is to be hoped that this will stop his operations, at least for a time. IT will give undoubted satisfaction to his many victims to learn that the ‘swindling geologist,’ whose depredations have been so frequently noted in your columns, has been lately convicted of stealing a number of microscopic objectives from the University of Cincinnati, and sentenced to spend five years at hard labor in the Ohio Penitentiary. He was sentenced under the name of O. L. Syrski, but admitted having pursued his calling under a variety of aliases, such as Taggart, Vasile, Ellison, Cameron, Douglas, Strong, Lee, Arundal, and Lesquereux. A valuable microscopic objective, found in his possession, awaits identification by the owner. The alias O.L. Syrski was almost certainly another alias, and not his real name. One Simon Syrski (1829-1882) was an accomplished zoologist who did extensive studies on eels. Readers of the Geologist will recall several references in the early numbers, Vol. I ( 1888), to an adept thief who had for several years practiced upon the geologists and other scientists of America with a good degree of success. This fellow was apprehended and served six months’ imprisonment in the Elkhorn jail, in Wisconsin, but on release resumed his nefarious tricks. In January, 1888, he stole some microscopic objectives from the University of Cincinnati, and under the instigation of Prof. Chas. H. Gilbert, the police of the city were put upon his trail. After a pursuit of some weeks, tracing him in Indiana, Kentucky, and Tennessee, he was apprehended at Nashville, and on trial was convicted and sentenced for five years for grand larceny, to the State penitentiary at Columbus, O. Ho pleaded guilty and admitted that he was the “swindling geologist” of numerous aliases. In confinement he made a good record for himself and was put in charge of the night-school. He would have been released, on account of good behavior, at the expiration of three years and nine months under the rules of the Ohio penitentiary, in the fall of 1891, but under special protestations of reform he was given a degree of freedom at Columbus, which allowed of his release finally “on parole” for the remainder of the term that he had to serve. He remained for a time quietly at Columbus, as reporter for the Columbus Sunday World. Suddenly he appeared at Saginaw, Michigan, in violation of his parole, where he attached himself to the High school principal and addressed the pupils of the High school, claiming to have been a professor in Vassar College, Poughkeepsie, N. Y., and then connected with Smith College, but preferring his present occupation of dealing in fossils, as more remunerative. He sold the High school ten dollars worth of fossils. He said he was a Russian, descended from an eminent Russian geologist, and acquainted with the most distinguished geologists of our country—(his usual story, the latter part, alas, too true! ), also that he is the brother of the celebrated nihilist martyr Vera Sussulich, that he had fought in the Franco-Prussian war, and had been made a captain, 3tc., etc. 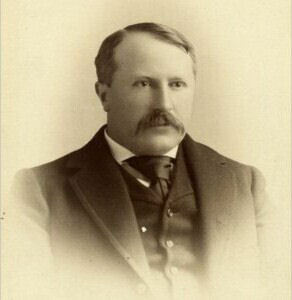 Thence he went to Lansing, Mich., and the speeches he made there were reported in the Detroit Tribune under the title—”A man with a history.” At Lansing, he claimed to be a mining engineer, and betook himself to the Agricultural College, whore he ” named the fossils” in the collection of that institution. On making inquiry as to the identity of this man with the “O. L. Syrski,” who had been a short time before released on parole, it was learned that, “in the language of the streets, Syrski has jumped his parole, beaten his boarding-house, and employer, and skipped,” with the incompleted sentence still hanging over his head. Here we have more indications that the swindler is an educated man, and perfectly capable of keeping an honest job, namely that of a reporter. That seems to have not been satisfying to him, however, and we soon find him selling fossils again, when he isn’t identifying specimens in museum collections! He is now again launched upon the community, to continue to be a scourge to scientists and amateurs. In addition to his standard way of representing himself as a geologist (or other scientist more rarely), as a Russian, often as deaf and dumb, and always making memoranda on little squares of colored writing-paper which he carries in very small vest-pocket blocks, and taking occasion to steal valuable books, instruments, and fossils from his hosts, he now has adopted also the method of corresponding with scientists, especially geologists, soliciting exchanges, which of course he conducts dishonestly. He is thus described at Saginaw; a man of medium bight, of light complexion, with a light colored moustache, blue or grey eyes of great keenness and rather watery, and a firm jaw, giving decision to his conversation. His language is fluent, and free from any foreign accent or peculiarity. He has lost one or two front lower teeth, and looks to be 35 or 40 years old. The attached half-tone reproduction of his portrait is from a photograph taken by the Cincinnati police at the time of his last trial and incarceration. The negative is held by Vail Brothers, photographers, 254 Main street, Poughkeepsie, N.Y., and their price for a single copy is 25 cents. It Is a very accurate portrait of him as he appeared three years ago, as many who have suffered from his thefts can testify, except that he is a little more rough in his personal appearance, in the portrait, than usual. The “Scientific Swindler”, c. 1888. Does he appear as you imagined him to be? I didn’t know what to expect, really, which is perhaps a testament to his ability as a con-man to remain rather nondescript. No one has yet been found who was a classmate to the swindler, nor has any knowledge been obtained as to the institution where he gained his excellent higher education. He himself declares that he is a graduate of the University of Kief in Russia, but no inquiry seems to have been made into the truth or falsity of the statement. He has shown a familiarity with the Sclavonic languages by conversing freely with Polos and Hungarians in the quarries at Rondont, N. Y., in their own tongues. We have no vindictive feelings against the man at all, but we believe that we can do no better service to scientists in America than by putting them on their guard against strangers without good credentials, and arming them against “O. L. Syrski,” by giving this information. From reading the progress of the reports, the scientific community seems to have gone from complete outrage towards him, to a grudging acceptance of his skills, to almost pitying his status. A few days ago a man came to this place, came to the University and asked the janitor to show him specimens. Next morning he came to me as a “deaf and dumb” man, said he wanted some work to do. Could name fossils, American or European. I told him there was no fund for the purpose. I showed him mine, He then spent the day looking at the university collection. I told him I would pay him to look over our European fossils and correct their names if necessary. He wrote on a paper his name “Otto Ludovttz Sassulich” said he was a brother of Vera Sassulich of Zurich, Switzerland. He is a Russian by birth, and he seemed strangely familiar with every thing, people, places, fossils, but said his deaf and dumbness prevented his working as an active mining expert. Well, I got him at work, in room with him most of time. A few fossils I was in doubt of and asked him, and he was surprisingly correct, knew just where to find descriptions, etc. While thus engaged one of our professors came in and mentioned about a geological swindler being in Tennessee a few years ago. I then remembered that there was a notice of such a man in June Geologist, but had not paid much attention to it. It was at hand and I looked and there was the man’s likeness exactly. I let him work all day, paid him, then told him he ought to talk, that he was not dumb. Also told him that I knew who he was, and that I thought that a man gifted as he was ought to be every way correct. I wished him well, etc., but had not told him of article and portrait, but Prof. P—- of university, happening in just then, insisted on showing it to him. Of course he denied being a thief, produced a recommendation from Prof. Ed. Orton, also one from of Vasssar. He trembled though and hurried off. N. B. He gave address Columbus, Ohio, and that his mother there would take care of his letters. Would you like to know the rest of the story? Well, unfortunately, there is no more — as far as I have been able to tell. Later issues of The American Geologist and Science don’t seem to contain any further accounts of the swindler’s exploits. The swindler disappears as mysteriously as he appeared, his true identity and history unknown. Reading that last letter, I like to think that Professor Broadhead got through to the confidence man. 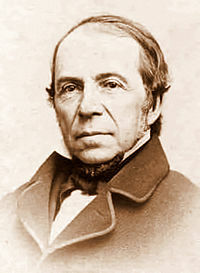 Broadhead told him flat out that he was a very smart man who should be able to make a career out of his knowledge; indeed, Broadhead says that he “would make the best I have ever known provided he stuck to it and honesty.” Broadhead would be one to know; he was the State Geologist of Missouri. Perhaps our swindler settled down at that point, finding himself a low-key job identifying fossils in some museum or university, making a living and not living in fear of being discovered. When next you visit some museum’s fossil exhibit, you may in fact end up looking at some specimens that were identified by a man who was for nearly ten years the scourge of the geological community. He used Gutmann as an alias? Makes me wonder if he also tried to make off with a certain avian statue from Malta. . . . This was awesome! Where else would someone look through old Journals and tease this out? Well done and fascinating. Great stuff. That must have taken ages to research. Fascinating story, great research. Thanks for posting this. Epic post. Thanks for sharing this story; I can’t believe all the really famous geologists he managed to impersonate! Thank you! It *was* quite fascinating to see how he connected with so many influential geologists. Awesome! You should consider a post in which you describe how you did all that archival research. Would be interesting, to me at least. Hmm… it could be interesting to at least describe the process by which I hunted down stuff. Thanks! He may indeed have been of Slavic origin (it was gutsy to fake being Russian, as all it takes is an actual Russian to expose you) since he could converse with Poles and Hungarians. There was a good deal of immigration from Eastern Europe, in particular the Carpathian mountains (which stretch through Hungary, Poland, the Ukraine and Romania) into the coal mining regions of Pennsylvania at the time this all took place. Since he is also supposed to have no sign of an accent, perhaps he was the son of immigrants. Or the other possibility is that he managed to learn enough Russian/Carpatho-Rusyn/Polish while in prison to fake it. It does seem possible that he was of Slavic origin, especially since nobody in the U.S. geology community seems to have been able to identify him (though it is also very likely that nobody would admit to knowing or training him). The little bits of “background” that he volunteered are tantalizing, as one suspects that theres a little bit of truth in all of it (such as his discussion of Indian warfare and the implication that he was involved in it). I wonder if there are enough records of graduations in that era in the U.S. and Eastern Europe alike to attempt to track down his identity? I wondered this constantly while writing the post, and still wonder. I’m guessing the “Vera Sassulich” who he gave as being his sister was perhaps the Russian revolutionary, Vera Zasulich, who fled to Switzerland about 1878. Wikipedia states she was 1 of 4 daughters of an “impoverished minor noble” who died when she was 3, and her mother sent her to live with wealthier relatives. Indeed that does seem to be the case. I probably should have put some information about Zasulich in the post, but as you can see, it had gotten quite long enough without her help! I hope this article brings in more scraps of information about this person. Likely there are others out there with more pieces to this puzzle. I hope so, too! I keep feeling like there *must* be more to the story. From personal experience and having since read a little on the matter, many conmen use the deaf-mute ploy in order to play on the sympathy, embarrassment or impatience of the victim. This is not simply to elicit pity, but to make the target feel awkward or uncharitable, or to make them feel like they are making this unfortunate person struggle through their disability. Less patient individuals simply get fed up communicating with the person and will give them what they want to get rid of them. It also means that the con can avoid getting into deeper conversations which might expose a lack of knowledge on their part; people will hardly wait for them to write an essay to demonstrate their knowledge of the subject. Well put. I can very well imagine that the deaf-mute ploy would keep people from asking too many questions about his (multiple) cover stories. It would hinder simple questions like, “Oh you’re from xxxx? How is Professor yyyy doing?”, and at the very least give him a few moments to think about his answers. Fascinating read! My best compliments on this work of historical investigation. Thank you! It took a surprising amount of time to sort out, so I’m glad people are appreciating it. Thanks! Yes, the little that we know of this fellow already reads like an excellent mystery novel! …because I am O.L. Syrski, and I can prove it! No, *I* am O.L. Syrski! No, *I* am Spartacus! *ahem* O.L. Syrski! How utterly fascinating. Thank you so much for a highly entertaining and well-researched read. I’ve no doubt that, if this were more widely publicized on the net, that Mr. Whoever-he-was may very well be identified. Now I will ever wonder what became of him. You’ve achieved the definition of an “epic” story here. A well-written, informative, and fascinating arc of experience in human nature is hard to find. Thank you. Thank you very much! It certainly turned into an epic story when I was researching it — I kept finding more letters about the swindler! The story of “Butch Cassidy and the Sundance Kid” comes to mind. The same era, and the same confrontation of traditional tactics running into new technology. For the Swindler, all of a sudden he was looking at what amounted to broadcasts of his image and criminal history. He was smart enough to know that the next time he got caught, he wasn’t going to be punished for “just this isolated, one-time-only-kind-of-crime.” And he also had to realize he was far more likely to get caught. Perhaps, like Butch and Sundance, he headed for Bolivia? And perhaps the trail could be picked up again there? I get the impression that he realized the jig was up — and it seems like his nerves may have been nearly shot due to multiple incarcerations and fear of more. It almost seems like he continued on simply because he didn’t know what else to do with himself. I’ve nearly finished my Ph.D. in archaeology, but despite my education, it really wouldn’t take much for someone to con me into believing he was an archaeologist, especially if he said he worked anywhere other than the Levant, my area of specialization. (You say you work in Peru, know the words Inca and Tiwanaku, and know a couple of names of archaeologiss I know? You sound legit to me!) I’ve had art historians explain to me the difference between faked Maya pottery and the real thing, but I would probably believe anyone who spoke with authority on the matter. It would be another thing entirely, however, if someone could identify pottery I had familiarity with, and this fellow could apparently identify Missouri state fossils that the Missouri State Geologist had trouble with. It seems this fellow had the kind of knowledge that doesn’t come easy, and it’s a shame he didn’t have the opportunity to utilize it in a way that would make him proud to use his real name. I’m sure there’s a bigger story in this, but have no idea how to research it. I wonder what ever became of him. I’m curious to know if schools had ‘class photos’ in that era. One might expect that some good detective work and some educated guesses could narrow down the list of possible places he received his training. Alas, I don’t have the time to research it! Excellent. Great research is always a combination of fulfillment and frustration – there’s always missing and tantalizing material awaiting discovery (or so we believe!). These days with the power of the internet and the increased ease of searching old books and newpapers then we can discover more – it was so much more difficult even 10 years ago. Have you tried the picture of the swindler in a image recognition software such as tineye?